In what can only be described as a metaphoric victory for Dr. Doom and discerning comic-book fans alike, the latest Fantastic Four movie flopped this weekend, earning only $26.2 million on a lot of screens. That’s not just considerably less than the previous two FF movies managed to gross on opening weekend and in last decade’s dollars. It’s also the worst debut for a movie starring Marvel characters since the second Ghost Rider film skidded into theaters four years ago. Was it the awful reviews? The angry tweets of a disgruntled director? Bad word-of-mouth? (The film earned an abysmal C- from CinemaScore users.) General superhero-movie fatigue? 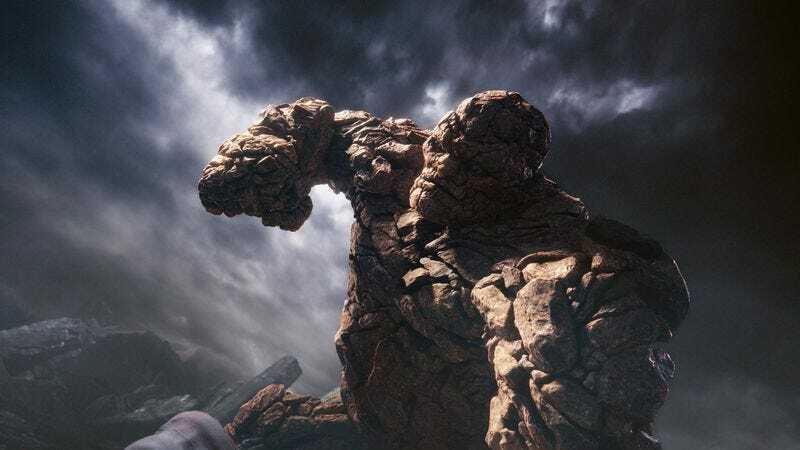 Any way you spin this fiasco, it’s pretty clear that Fox will almost certainly not be going forward with that planned Fantastic Four sequel, nor will you be seeing a CGI Jamie Bell tussle with a helmeted Michael Fassbender anytime soon. Maybe Fox will finally relinquish the rights to the characters, allowing them to pop up in the MCU. Something tells us, though, that the studio will be well into Phase 9 or whatever before attempting to put these Silver Age heroes back on the silver screen. The decidedly un-fantastic earnings of Fantastic Four assured that Rogue Nation, the fifth entry in the Mission: Impossible franchise, remained at the top of the box-office charts for a second weekend in a row. Crossing the $100 million mark with another $29.4 million in domestic ticket sales, the sequel could make it three for three, provided it doesn’t fall to one or both of this coming week’s major studio releases, the similarly spy-themed The Man From U.N.C.L.E. and the presumably spy-free Straight Outta Compton. Proving, yet again, that box-office success is a highly relative distinction, The Gift landed in third place, emerging as a modest hit for its brand-new studio, STX. Though the film made just $12 million—or less than half of what Fantastic Four did—it only cost $5 million. (Of course, that inescapable ad campaign didn’t pay for itself.) Further down the charts, Ricki And The Flash managed $7 million, about all that was expected of it, while Aardman’s well-reviewed Shaun The Sheep Movie disappointed with just $4 million—less than any of the animation studio’s prior features did in their U.S. opening weekends. Meanwhile, Ant-Man finally surpassed the earnings of The Incredible Hulk, sparing itself the indignity of becoming the lowest-grossing MCU title. Still, an official sequel seems only slightly more likely than a Star Wars movie directed by Josh Trank.